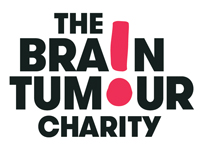 We’ve teamed up with The Brain Tumour Charity, who do amazing work in funding pioneering research and raising awareness of the symptoms and effects of brain tumours. Our goal is to raise £10,000 by riding from John O’Groats to Lands End in June 2018. The ride is now complete and you can read all about our progress on our ride blog with Strava profiles from each stage together with blow by blow accounts and pictures. Our brains are incredible. They make us who we are, but sadly they aren’t immune to harm. Brain tumours are the biggest cancer killer of children and adults under 40. 30 people are diagnosed each day, and just 19% of adults survive for five years after diagnosis. Despite this, less than 2% of the £500 million spent on cancer research each year is spent on brain tumours. 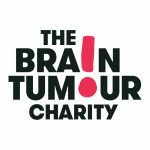 The Brain Tumour Charity are the leading funder of brain tumour research in the UK, spending over £18.3 million to date on pioneering projects that will help adults and children with brain tumours. From every £1 donated 80 pence is spent on their charitable aims, so the more we raise, the more will be invested in research. Research is funded through a competitive, fair and transparent process of best practice called peer review to ensure that only the very best research is selected that will have a real impact on those affected by brain tumours. 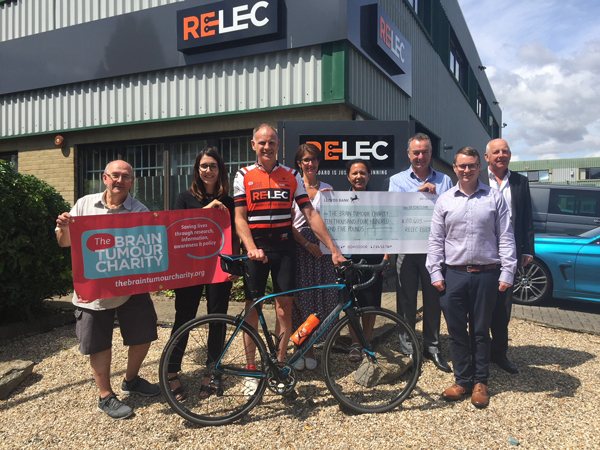 Here at Relec are committed to making a difference to everyone affected by a brain tumour. 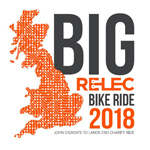 So, in June 2018, our Sales Director, John Stone and his partner Lesley will take on a huge sponsored cycling challenge over 1000 miles from John O’Groats to Land’s End. They will cycle over 80 miles each day, tackling grueling terrain, bravely facing whatever the weather will throw at them. We still have a few of our bespoke cycle jersey to mark the Big Relec Bike Ride 2018 from John O’Groats to Lands End in stock. If you would like one, simply drop us a contact form through the website. Our thanks go to Bel Power for sponsoring the production and to Idealogy a simply stunning design. 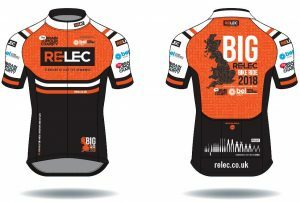 Jerseys are available for £50.00 each with 100% of the money going to the Brain Tumour Charity. 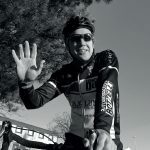 John has written a regular blog keeping you up to date with the training plan, the ride itself and most importantly how the fund raising is going. On behalf of John, Peter and the whole team at Relec, thank you so much for your support. Latest news – We’re now back in Dorset after the best 14 days we’ve spent on our bikes. We’ve seen the best and worst of the UK’s road networks. We seen the hills and the flat-lands. We’ve frazzled in the sun and got drenched in the rain. There have been beautiful beaches, amazing moorlands and lots and lots of sheep. We were pleased to welcome Katie and Sarah down recently from the brain tumour charity. We were delighted to present them with a cheque for £10,450, made possible from your extremely generous donations. The ride has been all about raising funds and awareness for the brain tumour charity, and we’ve also been lucky enough to visit the research facilities at King’s college and Edinburgh Royal infirmary. Every penny we raised does help in the fight against this terrible disease. The just giving page is still open, so if you’ve just found us please feel free to keep on donating. You can read our blog and see what we got up to each day. Above all we’ve met hundreds of wonderful and generous people and seen the very best of the UK. It’s been a life changing journey. Bel Power have been one of of our suppliers since 2004 and we would to extend our very special thanks to them for funding the design and production of our jerseys for the ride. To Joseph and everyone in the facilities in Taiwan and Suzhou, thank you so very much. Your $500 will go a huge way towards us reaching our target. Thank you to Megan, Daniel and Peter. We are going to produce a water bottle I’m sure you will be proud of. Thank you Debbie for your pledge of $500. Simply amazing and so kind. Paul, Martina, Dusan and John – Your $500 is incredibly important – Thank you so much. Alberto – Thank you for your offer of $500 and I hope you’re going to come over and join us? Riccardo – $500 – Wow! So very kind. This will go a long way. Nearly as far as us! To Conor, Don, Shane, Tommy, Mary, Grace and everyone else in Cork – Thank you so much for your pledge of £500. Can’t wait to come and see you in Cork, hopefully with the bike. Tania, John and the rest of the team in Poole, you’ve delivered on time once again. 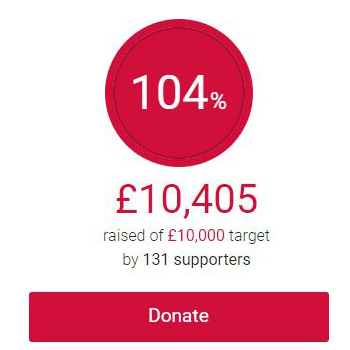 Thank you so much for your donation of £500.